Picking gifts for anyone can be a tough choice. And, if the person is a welder, then this beautiful gesture can start to feel like a pain. This might be because you have none to zero ideas about welding or anything related to it as you are not from this profession. 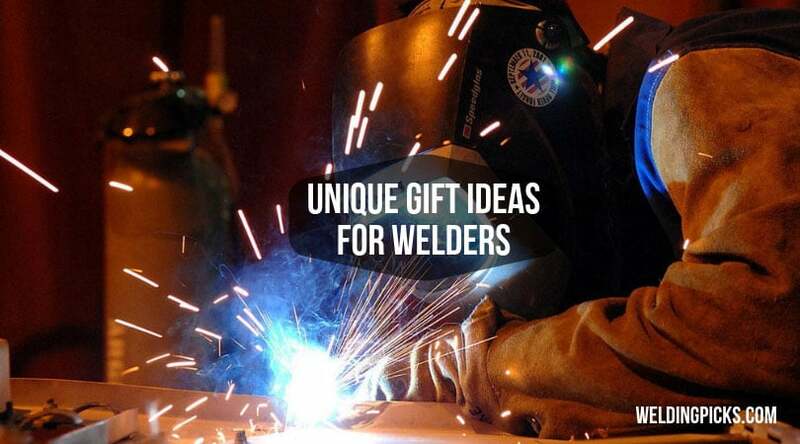 If you are one of those people, then you can sleep like a baby tonight as down below, I will list the best gifts you can pick for your welder friend. I will be going to give a bit of expensive gift to the seniors and also be mentioning cheaper products to my younger colleagues. So, the range is going to be from the most valuable to the least expensive gifts. I want to give this to my co-worker. It will cost me around $500-$400, but the usability is far beyond that. I have seen my colleague using a conventional welding shield for decades now, and I think it will be a worthy upgrade to him. The sensor in the auto-darkening helmets is enhanced with high-tech capabilities that will protect the eyes. It will be battery powered, and even if the battery dies, the visor will go dark which is failsafe. In cold, harsh weather, people working in construction site have to bare this severe cold. Fashion designers give a lot of their effort to keep up with fashion trends, but we hardly see advertisements for promoting cold jackets for welders or construction workers. But in recent times, the internet has allowed us to browse through different options. Back in the days, we could not find products which were meant for us, now we can. It is just one click away. The heated feature helps to maintain a constant temperature of our body. I have had a lot of frost bites while working in winter. Say no more to that. An excellent heated welding jacket will cost you around $350 to $400. In construction sites, we welders need to carry a lot of equipment with us all the time. We mostly work in building huge infrastructure, so, we have to move from places to places from time to time and trust me, it is not that easy. We have to carry our welding helmets, our safety equipment, welding guns of different kinds, etc. Nowadays, I have seen multi-purpose bags for construction workers in Amazon ranging from $250-$300. This bag also includes fast aid kid built in for any unwanted accidents. The bags are also fire, water and dust proof which is perfect for a welder working in harsh weather. While you’re welding, gloves are one of the essential things you need. But if you’re using a pair of high-quality gloves, comfort should be one of the concerns when you are welding for a long time. A good pair of the glove should not cost you more than $120 to $150. A welder’s best friend has a personalized overall any day. We all have it. We all embrace it. Having overalls allows us to carry small itineraries like screwdriver, screws and bolts, wrench, hammers. Welding professionals all wear them every day, but by the look of it, I can say all of the overalls are getting worn off from using it. A brand new one with their names on it will surprise them with great joy. In our daily lives, keeping track of everything is a hard job. Charging our phones are one of the tasks we often tend to forget in our busy day to day life. We usually end up having our phones dead in the middle of work. An additional power source can ease when problems like these. Power banks can cost around $30-$40. A Multi-tool kit box contains all the necessary equipment needed to pull off any heavy to light duty work. In construction areas, there are a lot of people needing tools all the time. At times, we even have to wait for the other person to finish their task, which is engaging when I need the tool at that moment. Having a brand new personal multi-tool kit will motivate an employee rapidly. And it will not cost me that much, ranging from $70 to $100. You must be thinking; we welders and construction worker are just born to work. And nothing comes in between work. Well, you are very wrong. We are a normal human being with desires just like you and everyone else. While working we crack a joke around, sing songs to our colleagues, listen to riddles, drink beers and dance. For this, I am going to add a Bluetooth speaker to my shopping list. Nowadays, we can find portable speakers, which are weatherproof (waterproof, dustproof, shockproof). This addition of gift can enlighten the day, not only to a person, but a whole crowd can enjoy music. Since my budget for gifts is running out, but I still have a small crowd of interns and junior workers. I want to see everyone happy before retiring from this company. To the young crowd, I want to present small gifts which include key chains, beer bottle openers, Customized caps and T-shirts with their name on it. This will surely cheer them up. From my observation, I can say that gift is a thing that everyone loves. No matter how old or young you are. A gift can also be a 1-dollar worth gift. The gifts that I have chosen for my colleagues will surely cheer them up and motivate them to work even harder. My colleagues might have the things already for themselves, but who does not like a brand-new pair of gloves or overalls. I know I would love it. How to Weld Thin Metal with Flux Core?